Marathon running is no mean feat. On average, it’s around 3-5 hours-worth of pure grit (if you’re running faster than that then you’re a bit of a big shot…). During these 3-5 hours, your body goes through some serious challenges whilst hauling itself around the 42km course, and if you don’t pay particular attention to your electrolyte levels, your performance can be drastically inhibited as a result. 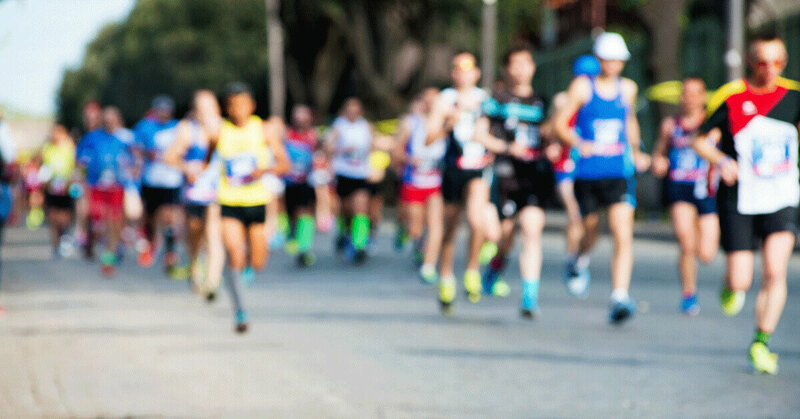 We want to share with you why marathon runners need electrolytes for peak performance. What are Electrolytes & Why are They Important for Marathon Runners? Yes, they’re as fancy as they sound; electrolytes are electrically charged particles / ions. Electrolytes are created when mineral salts dissolve in water and break up. They work to regulate the balance of water within and between body cells. They are also helping to maintain fluid balance in the body. In essence, electrolytes are essential for total body hydration and acid-base balance…got it? What Happens if Electrolyte Levels are Low? The gist of it is, it’s not good news. When you run, especially over longer endurance events such as a marathon, you begin to sweat (understatement of the year right there). Sweating is our body’s main cooling mechanism. If you’re out there sweating buckets, like many of us are, it’s not ‘gross’, it’s not ‘eww’, it doesn’t mean you’re unfit. It’s just your body trying it’s best to maintain your core temperature from rising. However, as we sweat we not only begin to lose water, but electrolytes as well (hence the salty taste to sweat!). Whilst electrolytes don’t actually contain energy themselves, they are essential in conducting electrical impulses to the body’s nerves and muscles. Just putting it out there, but some would say muscles are slightly crucial for marathon running. If there’s an electrolyte shortage in the body, some signals from our brain may not be effectively transmitted to our muscles. This results in in slow reflexes and weakness. Doesn’t sound conducive to a PB hey? Other side effects of low electrolytes levels can be impaired judgement, mental confusion and heightened fatigue. All the things you want while you’re trying to run a marathon right? Not so much. Whilst it’s clearly crucial to drink plenty of water during a race to ensure you replace any water lost through sweat, it’s equally important to replace any lost electrolytes. The easiest way to do this on-the-go is through electrolyte drinks or gels. Drinks or gels that have been well formulated can not only enhance fluid absorption, but can encourage thirst. It may sound counter-productive, but if we feel thirsty, we’re more likely to drink more and therefore rehydrate ourselves more rapidly! Staminade for instance, is formulated to contain the right balance of both electrolytes and carbohydrates. Not only does this help to rehydrate and replenish lost electrolytes, but it may give you that energy boost you’re looking for, maybe even when you hit the godforsaken ‘marathon wall’! Just a warning here, don’t leave it until race-day to try out these drinks or gels for the first time. You don’t want to learn the hard way that some gels or drinks may not sit so well with your stomach! We’ll say no more, except that it’s a good idea to try them out in training first, and find ones that work for you before the big day.